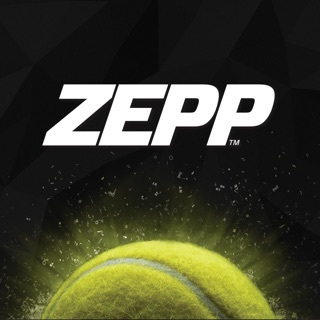 Discover the new tennis app from Babolat. The app that lets you take tennis with you wherever you go. Track your own information, get exclusive offers, and follow pro players' results, all in one place. 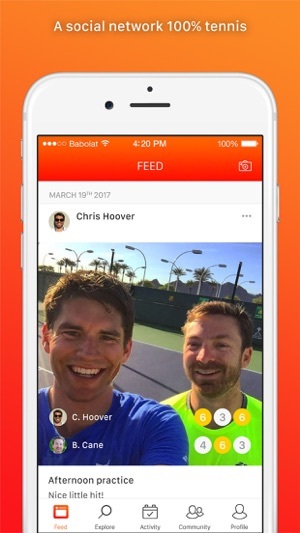 Join your digital tennis club in a new social network, that is 100% dedicated to tennis. Track your tennis activity and get easy access to all your information including your practices, your matches, your gear, your favorite store and more. Your tennis life, all in one place. Enter the digital tennis community, where you, your friends and your favorite players can post, share and like the latest tennis pictures and news. Join the newsroom and get all the information and latest results of your favorite pro tennis players, all in one place. 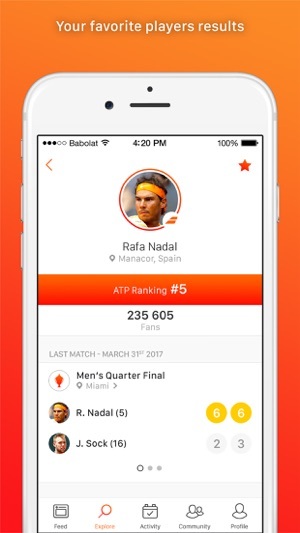 This is the first app built around your love for tennis. Get access to exclusive content, receive special offers and earn points for everything you do on and off the court as we reward your passion for tennis. 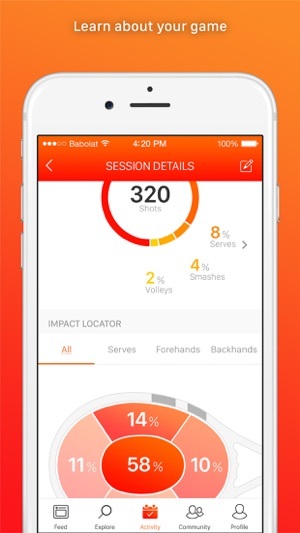 Link your Babolat app to a connected racquet Babolat PLAY and discover a complete overview of your tennis performance. Get detailed stats about your game. From your serve speed to your forehand spin, you know it all! Babolat must bring back some essential elements from the POP app that uses PIQ score, trend analysis, forehand and backhand racquet speed, and quite frankly a better format for frequent users. I used the POP app with a PIQ robot for a year to track my stats and loved it so much I even bought one for my wife. I assumed that the expensive babolat Play series racquets would have the same standards and depth of shot analysis and stat tracking, actually I assumed it would be better. Instead, the most useful feature of this app is the impact location feature. I still can see how many of each shot I have hit but why can’t this technology give me the racquet speed on forehands and backhands anymore? And that trending feature in the POP app was helpful. It seems like they really put no effort into making an app that can make you feel like the sensors in that racquet are worth much. What it does tell you is simple stuff, also was hoping for a better social media platform for tennis players to be built in but I have heard nothing but bad news about that too. The product manager for this app should be fired. Period. Babolat used to have a great product - desktop and app which made Play racquet a worthwhile investment. Pulse, trends, and all useful features have been trashed. For some reason, they are still selling the racquet for 100$ more than a normal racquet but have no software to back it up. This app is such a joke that I wont even bother to write a detailed review - will take me pages to fit in all the complaints. E.g., They give some “points” for validating sessions and no clue as to what to do with those points. Do I get some Babolat gear if I collect points? You cant edit a session if you make an entry mistake. There are technical bugs throughout the app but ZERO updates have been made in past 6 months. 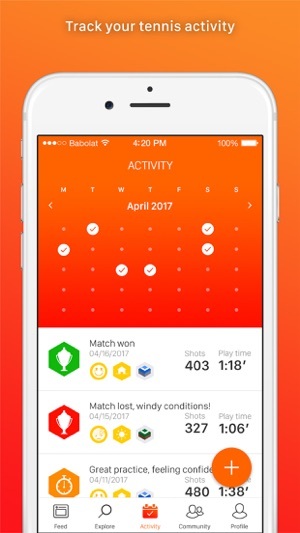 Babolat - please pay some qualified developers to rebuild this app. Its only a month’s worth of work to fix it at best - some bugs are so obvious (you have to rotate your ipad and then go back two operations to get an “ok” button!). If not, please refund my 100$ premium for the hardware. I wonder why the old app and desktop product cannot just be brought back. Also, I have lost all my data since they “upgraded” this app. Even after June 21 update still crashing every time I try and log in. Well can't even open the app cause it crashes. I deleted and started from scratch and everytime u try and log it it shuts down. Because this app wasn't working I tried to download the Mac app to at least be able to upload data via USB and it has not been updated since 2013 and the coding won't even let it open on any of my mac computers. So I'm stuck with my new racquet and zero way to upload or update the racquet. Another update7/21. Please tell us what's going on. I bought a new racquet months ago and it worked once before the latest update and now the app still just shuts down. There is no way to upload the info via computer either cause u put all your eggs in one basket with the app that's an epic fail. I've never seen an app go this long without a team fixing it. Ridiculous! At least add computer website support again. Dear, a new application has been released (version 2.1.1). 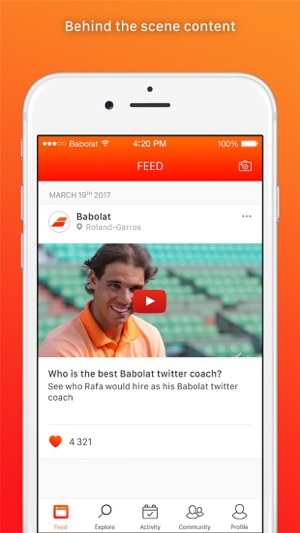 We invite you to update your Babolat application to make it fully compatible with your smartphone. Any other trouble? Contact us via https://babolat.zendesk.com/. Thanks for the confidence you have in our products! Let’s play connected!